Our story begins with a house; a house that Giovanni Cavazza bought together with a Bocara vineyard after moving from Montecchia di Crosara, in the province of Verona, to Selva di Montebello Vicentino. It is 1928 and Giovanni has already spent 50 years amongst beloved vineyards, growing up next to them alongside his brothers. 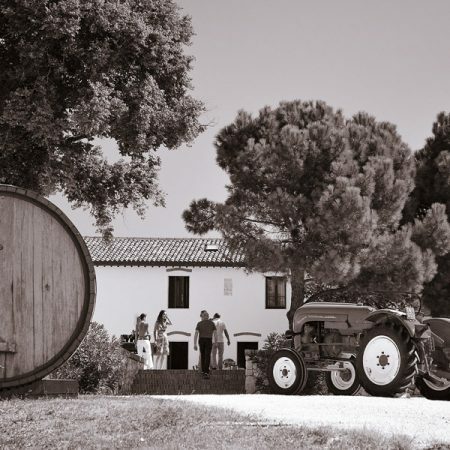 This is the year that “Cavazza” and the stories of a vineyard were born. These are stories we tell every day with genuine passion in the old house in Selva, that is still today the home and heart of our company. 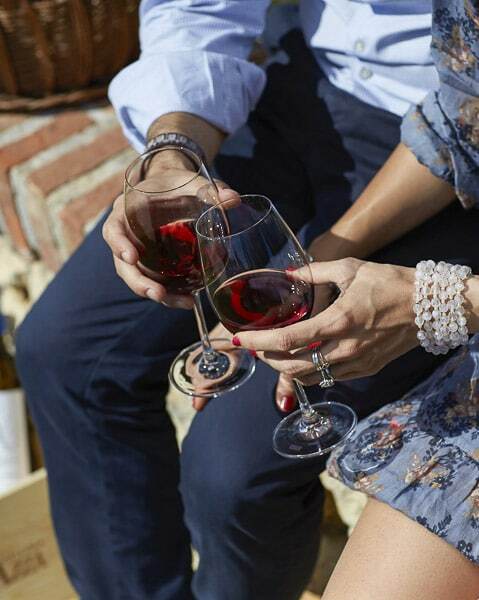 These stories are an integral part of our wines and for those who choose them, they are enjoying decades of our life’s moments, hopes, dreams and victories. At the beginning of the 20th century no one lived just for wine. Fruit, vegetables and tobacco were a big part of household budgets. For as far as the eyes could see, were rows and rows of mulberry trees. Agriculture was respectful of the earth and the seasons. The vines were “maritava” (Italian for “matched”) to the land supporting and embracing it, as the fields alternated between alfalfa and corn. That same harmony is still a part of our farm 90 years later. Back then, however, there were difficult moments. 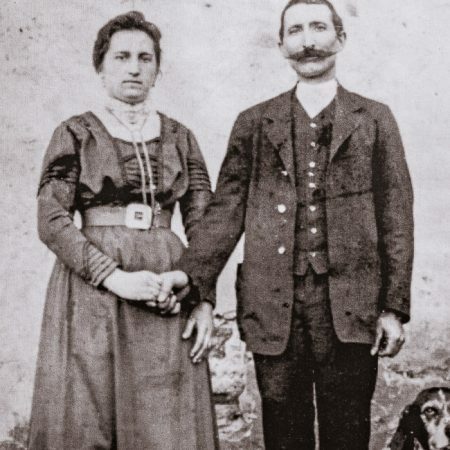 Giovanni died in 1943 and his son Domenico dedicated his life to the winery, while his brother Pietro enlisted in the war and left for Greece and Albania. World War II never seemed like it was going to end. After being imprisoned in Germany, Pietro finally returned home to take care of the vineyard. Changes were coming to the winery. A post-war boom reenergized our country and with it, our company. Stables and barns were out: winemaking was in. A breath of modernism enters as the tractor replaces the horse, the quaint hand press becomes a more modern hydraulic press, the oil fueled destemmer turns electric, and we acquire a more efficient plate filter. 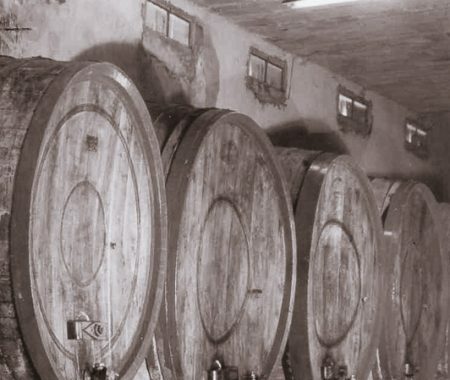 Better technology was needed to create a more refined product and because of this, in the Sixties, the winery was endowed with presses, filters and pumps. “Vino Sfuso” (fresh bulk wine, not bottled) is sold in demijohns, which Domenico hand delivers to the trattorias, osterias and buying public. Due to a demand, Cavazza now has 20 hectares of vines. In 1965 comes the first “vino frizzante” the Sur Lie Gambellara, the Recioto and the dry Garganega. The labels are glued on each bottle by hand with loving care, a human touch that no machine can ever replace. 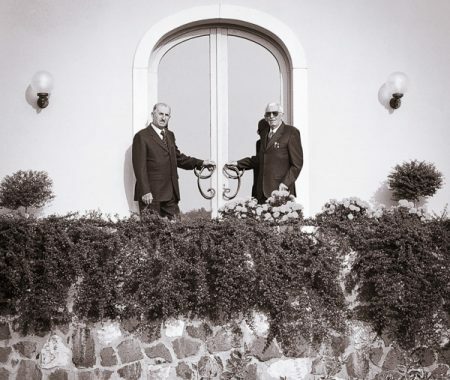 1972 was a year to remember, as it was the birth of the Consortium of Gambellara and among its most avid supporters are Domenico and Pietro Cavazza. Good wine is born from the respect of the raw materials. All the rest is just experience that comes with time, used wisely. 1982 is another big year for Cavazza. It marks the birth of the Consortium of all wines from the Berici Hills, providing further recognition for our excellent product. It was in 1982 that our company acquired Cicogna in the Berici Hills. It is the crucial moment in the turning point of our red wines. At the new estate, with the supervision of the University of Conegliano, we plant experimental grape varieties like Syrah. 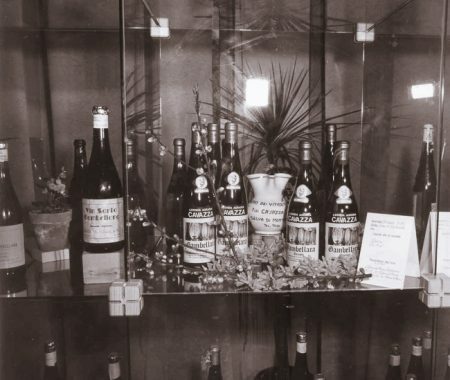 Our reach expanded further than the Italian border: in 1986, we began exporting our wines first to Germany, then to Holland and England. To collaborate and join in the conversation, we began to participate in well known trade fairs, for wines of the Vicenza province, to larger ones like VinItaly and ProWein. Unity makes you stronger, and multiplies ideas. At the dawn of the new millennium, Cavazza also begins anew. 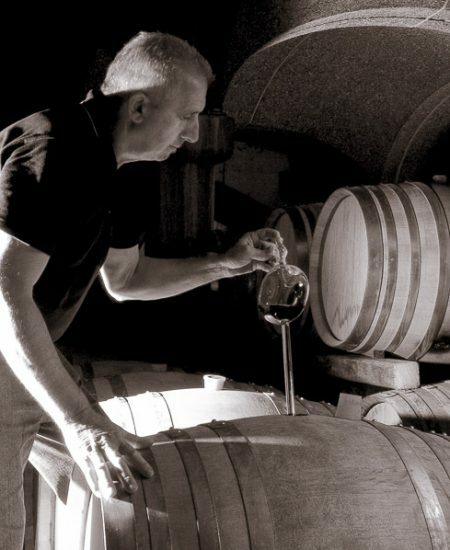 In 1995, radical restructuring of the winery took place, with new innovations to include a strict control of the temperature during the fermentation process. However, it’s in the vineyard that we witness an historical transition. The old pergola vines were converted into Guyot vines, a cultivation system that decreases the production by a third, while at the same time, greatly increasing the quality. This was the first step towards our focus on environmental sustainability, which lends additional authenticity to our product, while channeling the deep connection to the land that Giovanni Cavazza always had. One cannot exploit the fruits of the land without respecting the ground from which they came from. This is why the winery, in an experimental project, began to drastically reduce the use of sulfites in our wines. This experiment continues today, with patient research of high end, natural wine products. Yet still, our wines go greener once we installed a powerful photovoltaic system (using solar panels) on the roof of our warehouse. With the renewed production of dessert wines in 2004, most of all Vin Santo and Recioto, we supported the first version of the structured Garganega, with a brief maceration on the skins, and then in 2007 the San Martino, a Venetian red raisin wine. Our wines ventured beyond the confines of the European borders and came to be appreciated in China, Taiwan and the United States. With these open borders, we opened our doors of the guesthouse at our Cicogna estate, where we organize events and tastings; and every September to celebrate harvest season, we host a traditional wine festival known as “Passeggiata in Cicogna,” one of the most celebrated events for our clients, who are a part of us locally and beyond. Our commitment to wine received a prestigious award in 2014: the “Omaggio al Lavoro e al Progresso Economico” (Homage to Work and Economic Progress) from the Vicenza Chamber of Commerce. This recognition usually comes at the end of a career, but our spirit hails from a strong and valuable legacy that always appreciates new adventures. Our business is a journey, not a destination, and the older it is, the further you must look ahead. Move forward without forgetting where you came from. This is our story, that tells of passion, work, and love of our land. Will you cultivate another part with us? Elisa, Stefano, Elena, Mattia and Andrea.